Who is your all time favorite book villain? and hop over so that we may get to know each other. As ususal, know that everyone who vsits here will be visited back and everyone who follows will be followed back! president snow from the hunger games! new follower from the blog hop! love the blog and God bless! Hopping through. 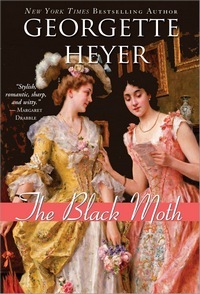 I haven't read that book by Georgette Heyer, but I've loved a lot of her books. Great blog site, new follower from the blogosphere! love the blog and God bless!